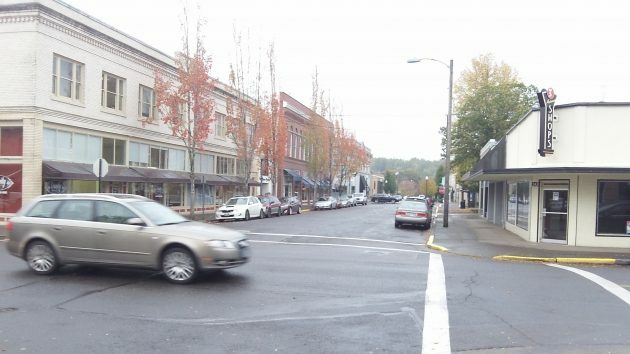 Albany will borrow $8.4 million from the state of Oregon to pay for upgrading several downtown streets. The urban renewal advisory board learned Wednesday that the city’s request for the money had been approved, and the city council, acting as the Albany Redevelopment Agency, voted unanimously to approve the deal. The money will be borrowed from the Infrastructure Finance Fund, part of the Oregon Business Development Department. But where the dollars actually come from was not entirely clear after hours on Wednesday night, when state offices were closed and the department’s website yielded no clue. Urban Renewal Officer Nathan Reid thought it came from state lottery proceeds. Albany will pay off the loan over 15 years from the property tax amounts set aside for urban renewal. Annual payments will be about $339,000. At 2.55 percent annual interest, the interest cost of the loan will be just under $1.8 million, substantially less than the projected cost of $2.9 million if the same amount was raised with conventional tax increment financing, meaning a bank loan. The downtown “streetscape project,” discussed by the Central Albany Revitalization Area’s advisory board for the past year or more, covers several blocks of Second and Third avenues and their cross streets in the central business district, as well as Lyon and Ellsworth. All the details are still not nailed down, but the project calls for new sidewalks, trees, furniture, lights, pavement and underground utility work. The idea is to make the area so attractive that business and employment will once again thrive. There was some discussion Wednesday about overhead lights on cables strung across the streets. At one point the CARA board had voted not to have them then added them back in at a later meeting. Councilor Rich Kellum thought this would look too busy, what with all the overhead wiring already there. Ed Hodney, the parks director newly assigned as top administrator for CARA after the departure of Kate Porsche for another job in Redmond, said that at the next CARA meeting on Nov.16, the staff would bring the streetscape design back for another look. In 2012 voters approved an addition to the City Charter: Chapter IX section 44. The Charter now says all borrowing (except for emergencies) must be approved by voters. Perhaps the Council forgot that ?? I too am interested in the answer to this question. How does this bypass that requirement?Even if legal, it does not seem like it is keeping with the intent nor the spirit of that law. Is ORS 285A.096-.108 the state law you refer to? If so, I don’t see any words in the law that override 44(d). Perhaps I missed it. I don’t see how the city council can apply a state override given the statute’s silence on limitations. But I’m certain the city attorney and city council will twist the language into a pretzel to avoid having to get approval for this debt from city voters. Contract with municipality; required provisions; repayment. So, the following is the text. Perhaps sections c) local improvement district or d) state law override apply in this situation. As the money does seem to be targeted to upgrade the streets, it seems that no voter approval is necessary. I’ll withdraw my earlier question. After enactment of this section by the people, The City Council shall not authorize any borrowing unless the borrowing is specifically permitted by this Section 44.
a) Definition of Borrowing. “Borrowing” means any general obligation bond, revenue bond, full faith and credit financing agreement or subject-to-appropriation financing agreement or other contract in which a party agrees to advance money to the City in exchange for the City’s agreement to repay the advanced funds with interest over a period of more than thirteen months. b) New borrowings with voter approval. The City Council may borrow money if the borrowing is approved by the City’s electors. A borrowing shall be deemed to be approved by the City’s electors if the number of votes cast in favor of the borrowing exceeds the number of votes cast against the borrowing. c) Local improvement district bonds. The City Council may borrow money without approval of the City’s electors if the borrowing finances a local improvement pursuant to ORS Chapter 223 (the Bancroft Bonding Act) or any similar, replacement statute, the City Council will impose assessments for the cost of the local improvement on benefitted property owners, and the city expects to be able to pay the borrowing from assessment payments made by those benefitted property owners. d) State law override. The City Council may borrow money without approval of the City’s electors if an Oregon statute authorizing the borrowing provides that the authority is not limited by other laws, such as a local charter limitation. Further complicates this is that it is not the City but the ARA agency that is doing the borrowing..
Hasso says the applicable statute for this loan is ORS 285B.437. Assuming that is correct, one question becomes: Is CARA a ‘municipality’, as defined by ORS 285B.410? I don’t see ‘urban renewal agency’ in the legal definition. The next question: What statute authorizes a non-municipality like ARA to borrow money from the Special Public Works Funds? Perhaps Hasso can provide the answer. Glad to hear they are doing some much needed work down there. No matter when or where the money comes from its not going to be cheap or free. Doesn’t mean it can just be ignored. Thank you to the city council for doing the necessary thankless work.